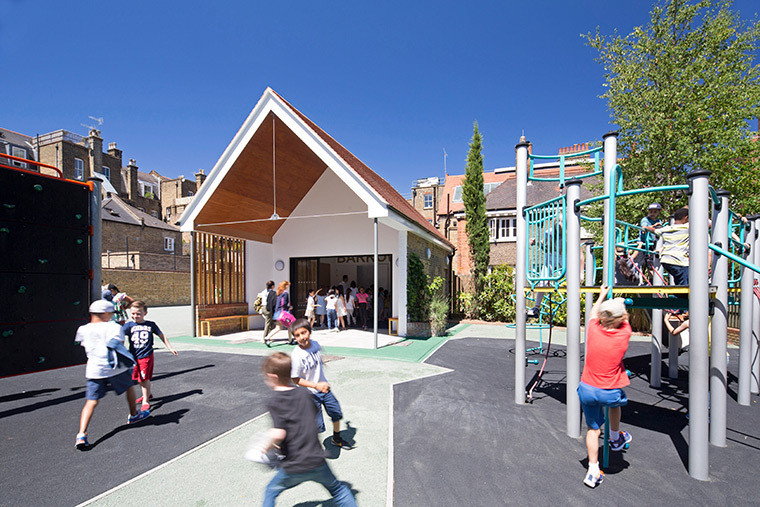 This project converted an unused, dark and damp structure in the school playground into a multi-use room for pupils, parents and the wider community. 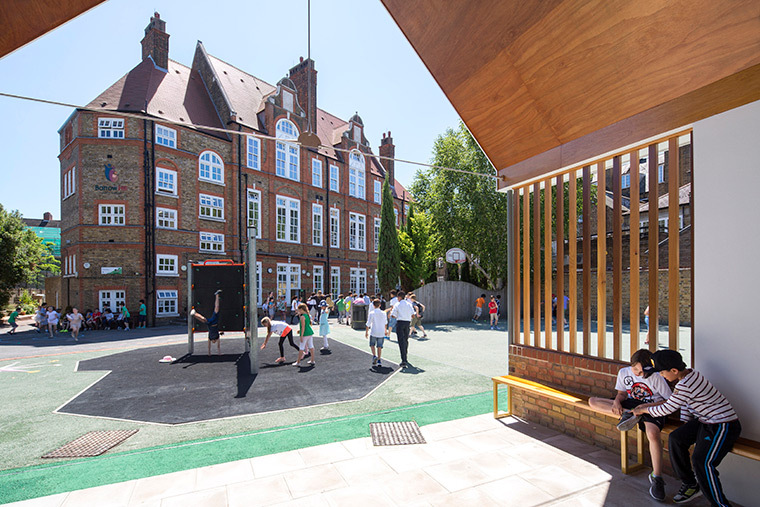 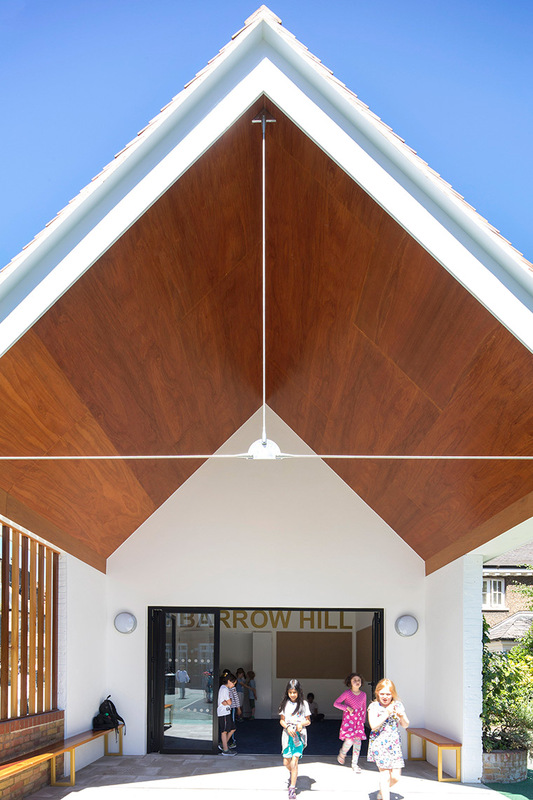 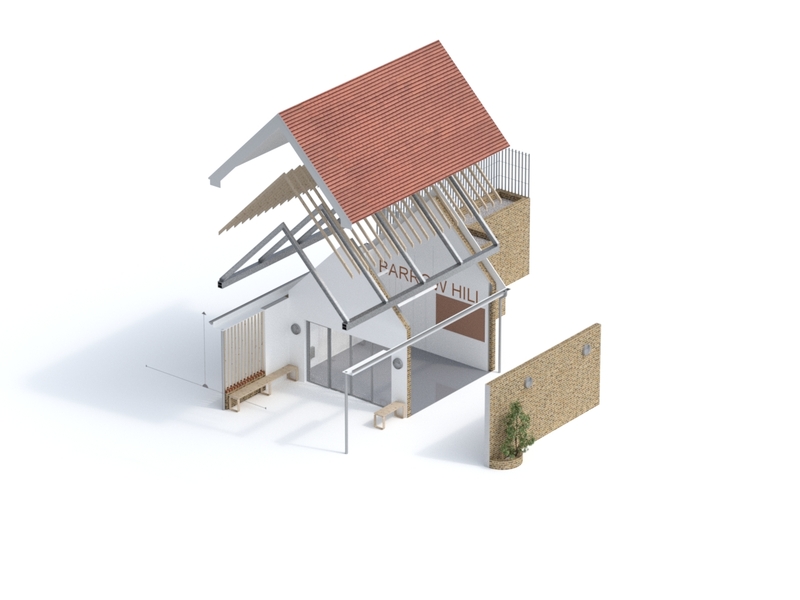 The flat roof has been replaced with a steep pitched one that extends to provide a covered external area with built-in timber benches and screen. 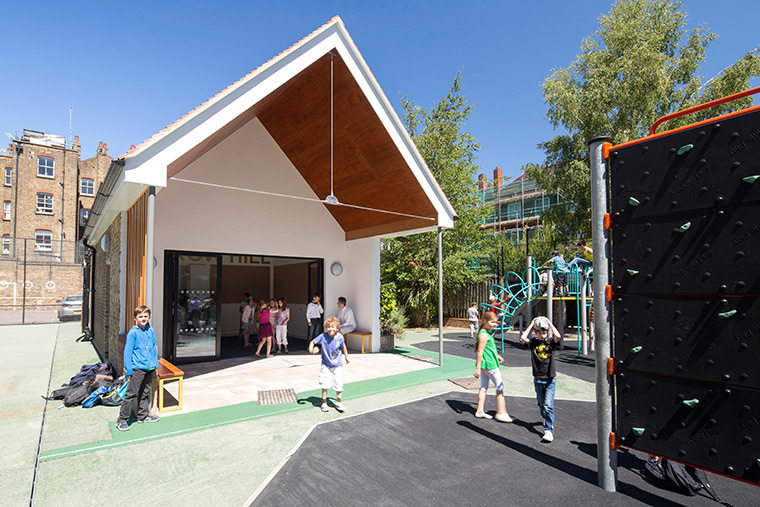 Folding, glass doors open up the entire south end of the room to the covered space and playground. 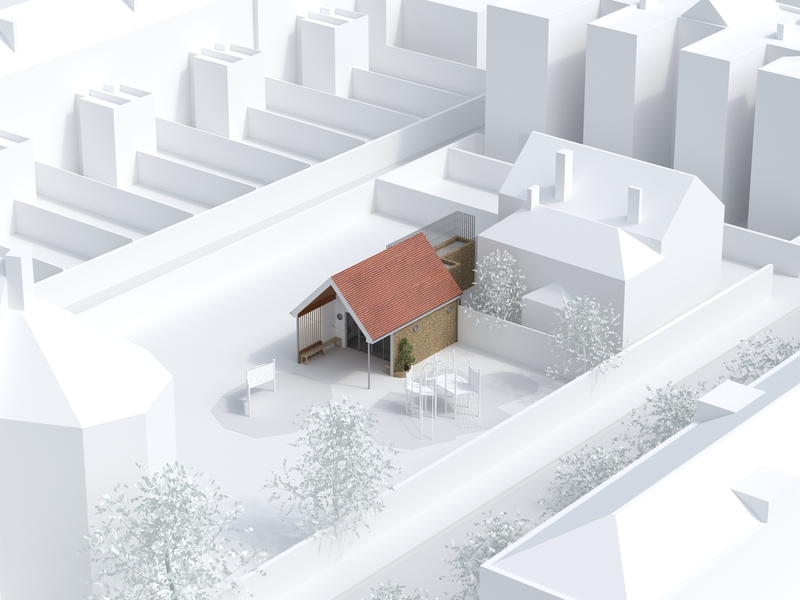 Inside, a kitchenette can be hidden away behind folding doors. 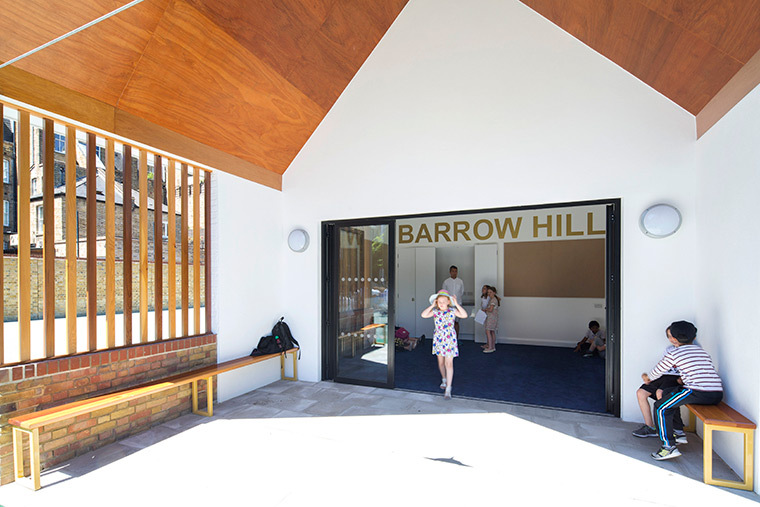 The timber roof lining, large school sign, display boards and white walls add brightness and warmth, providing a light and welcoming teaching space that is now used every day.